Honor yesterday announced the arrival of the Honor 9N for the Indian market. The midrange handset will be exclusive to Flipkart and is essentially identical to the Honor 9i. Shipments start from July 31 with prices starting from ₹11,999 (US$174). 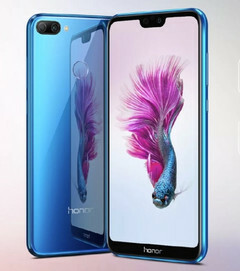 Huawei's sub-brand Honor has announced the Honor 9N for the Indian market. The Honor 9N is the same as the Honor 9i, which launched last month in China. The Honor 9N, however, has an additional storage option not found in the Honor 9i. The Honor 9N features an FHD+ 5.84-inch display with a notch. There is a dual camera setup at the back consisting of a 13 MP + 2 MP layout with the 2 MP sensor providing depth information. The handset supports Face Unlock but a fingerprint reader is still included beside the rear cameras. The notch houses the 16 MP selfie camera. Powering the phone is the company's HiSilicon Kirin 659 SoC — a capable midrange chip that trades blows with the Qualcomm Snapdragon 625. As expected from Honor, the 9N runs Android 8.0 Oreo overlaid with the company's proprietary EMUI 8.0. A 3,000 mAh battery helps keep things chugging through a typical work day. The Honor 9N will retail as a Flipkart exclusive and also on the HiHonorStore starting from ₹11,999 (US$174) for the 3 GB/32 GB variant. The 4 GB/64 GB variant sells for ₹13,999 (US$203) while the 4 GB/128 GB will set you back by ₹17,999 (US$261). At this price point, the Honor 9N will have to withstand intense competition from the likes of the Xiaomi Redmi Note 5 Pro, the Asus Zenfone Max Pro M1, and the Moto G6. Shipments for the Honor 9N start from 12 PM IST on July 31.